As readers of this blog know, I’m a fan of Rio de Janeiro. A promoter, almost. So I’m not to excited about this news. Nope. 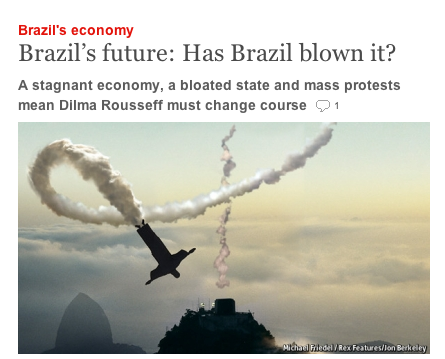 Sadly, Brazil’s economy is not in such good shape either. What would a cynical person think about this? 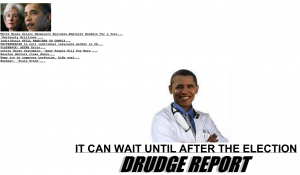 The Obama administration announced on Tuesday that it would delay for a year, until 2015, the Affordable Care Act mandate that employers provide coverage for their workers or pay penalties, responding to business complaints and postponing the effective date beyond next year’s midterm elections. Emily Litella was available for comment. And what will Stark miss most when he leaves Congress? Because that’s all bankers do, you know, repossess and foreclose. Nothing else. And no mention that much of what Stark did to make “life better for somebody” almost certainly made life worse for somebody else. Given that he (as a former banker, no less) reduces banking to repossession and foreclosure, it’s no surprise that he doesn’t understand the law of unintended consequences. For example, we have a stock market that has climbed to great heights under Mr. Obama–who gets lots of credit for that. But why is the market climbing? 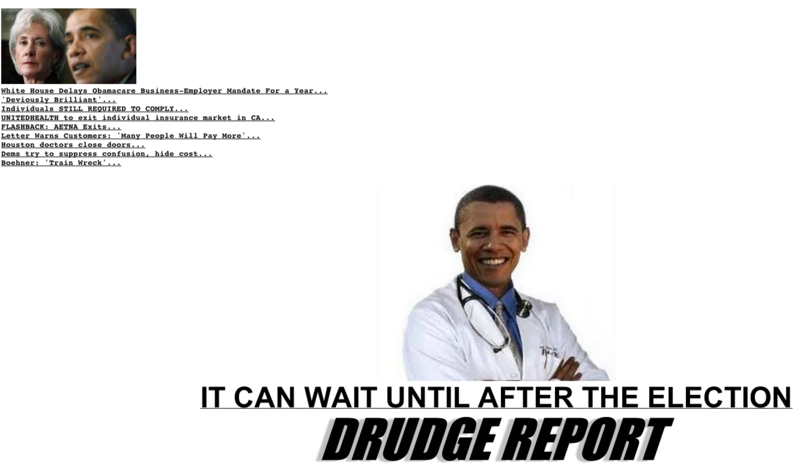 Well, it’s due in no small part to the almost-free money policies of the Fed. And who does that hurt, who does that “make life” worse for? Well, among others, people on fixed income, especially retirees who find themselves with nest eggs unable to generate enough interest income to sustain them in their golden years. How low are the rates? 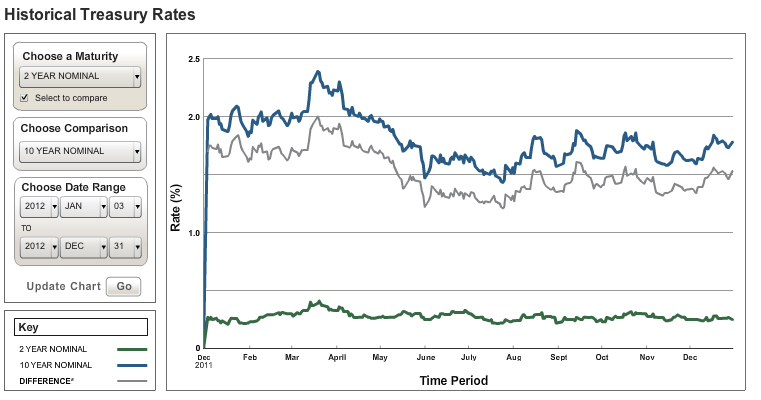 Here’s a chart from the Treasury showing short-term and long-term rates on Treasuries over the last year. 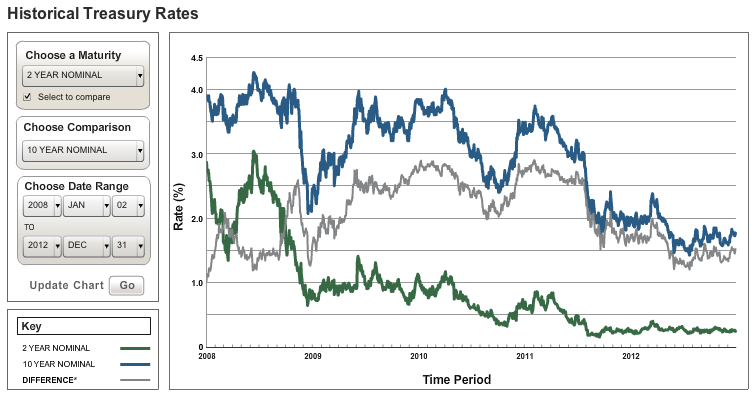 The second chart shows those same rates, starting back in January 2008. Note the steady decline in rates since 2008, until 10-year rates hover around 1.5% and 1-year rates are around 0.25%–that’s 1/4 of 1%, for the decimally challenged. Now imagine that you’re living on a fixed income at those rates. Yes, Pete, when you help someone to a better life, you often impact the life of another for the worse. How many of those on fixed income have lost their homes or cars to the bank. And he can dance too! Ross Douthat is the token conservative on The New York Times’s opinion pages.Tyler Cowen is a polymath economist who teaches at George Mason University. I’m a polyremedialmath living in Utah. We all agree that the birthrate in the USA had better recover, or we’re going to be in a world of hurt even greater than the world of hurt we’re in now. My wife and I have done our part. How about you?